This country page is one of the most favorite sites in our Africa Portal, averaging most hits per day. Benin is situated in West Africa and is bounded to the east by Nigeria, to the north by Niger and Burkina Faso, and to the west by Togo. When European influence began to spread along the coast of West Africa in the sixteenth century and the northern trade routes diminished in importance, the southern sea routes strengthened. At that time the kingdoms of the south differed from those in the north in at least two fundamental aspects: they developed later in time and they were much smaller in area then the ealier kingdoms of the north- like Ghana (4th-13th Century), Mali (13th-17th Century), and Songhai (9th-19th Century). The largest of them were situated in the areas where the vegitation is savannah rather than rain forest and where conditions are more like those in the comparatively open country farther north. Even so, travel was never easy in the southern lands (the ravages of the tsetse (T.C.T.C. )fly which made the rearing of animals, including horses, difficult or even impossible often proved to be a severe disadvantage in this respect), while they were never as well placed for trading as the northern empires. Despite these disadvantages, however, the southern empires became very rich and powerful in their days, and when, for example, the Dutch began trading with Benin in the seventienth century they found the king, the Oba, a very impressive and great man. His palace had galleries 'as big as the largest in Amsterdam' and these were supported by wooden pillars encased with copper upon which engravings depicted past military victories, while Benin City itself had wide, elegant streets and many large houses. The copper was obtained from the Sahara in exchange for cotton goods and other tropical products. Unfortunately this once great state finally fell into decay as did the more powerful Oyo Empire farther west. 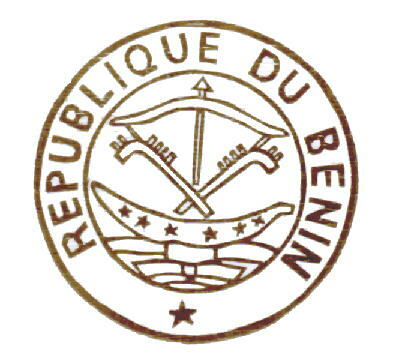 Benin stretches 700km (435 miles) from the Bight of Benin to the Niger River. The coastal strip is sandy with coconut palms. Beyond the lagoons of Porto Novo, Nokoue, Ouidah and Grand Popo is a plateau rising gradually to the heights of the Atakora Mountains. From the highlands run two tributaries of the Niger, while southwards the Ouémé flows down to Nokoue lagoon. Mono River flows into the sea at Grand Popo and forms a frontier with Togo. 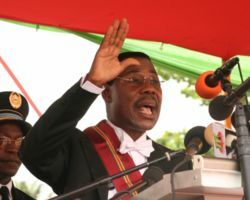 Benin is once again making a name for itself as it embraces democracy with characteristic fervor and is catapulted onto the African stage as a model of reform. Benin is the birthplace of voodoo (voodoo museums of Ouidah). Voodoo ceremonies can be colorful events, involving feverish drumming and highly charged dancing by costumed fetish priests. The pirogue is the name of a traditional boat.